Returning to the classroom has been quite the journey. 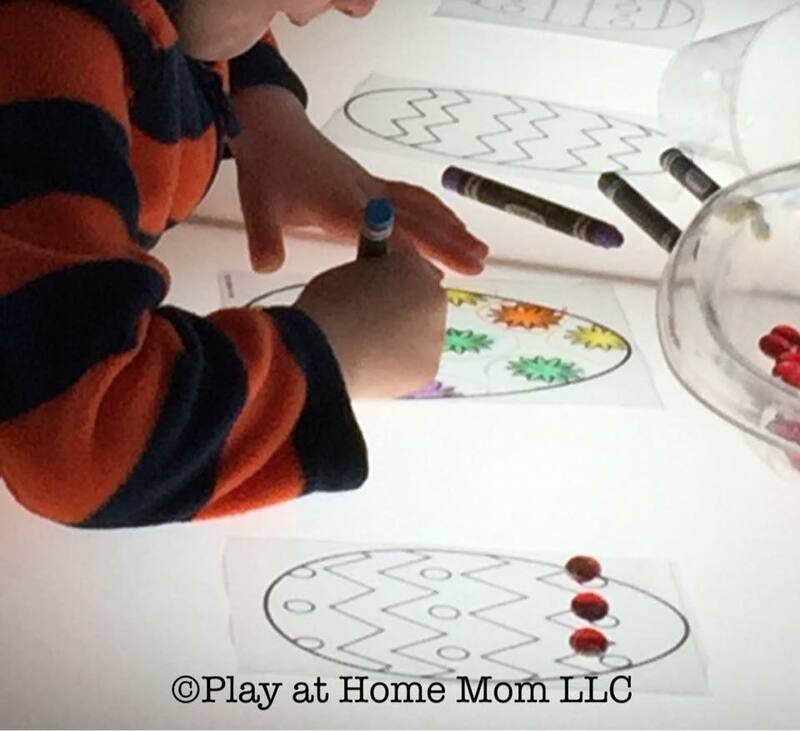 I’ve always implemented the Reggio philosophy in my home, but since being back in the classroom I find myself re-visiting Reggio ideals and provocations even more. It’s taken over 6 months to really get the children settled into this new style of learning. They are more curious, inquisitive, independent, confident, and intrinsically motivated than they were 6 months ago. I feel incredibly grateful that I’ve been able to witness such growth. Such growth! 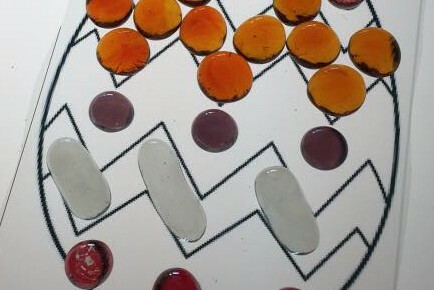 The children have just recently become more confident in using loose parts to create temporary (or “transient”) art. I try and take pictures of all of their work before they disassemble it. 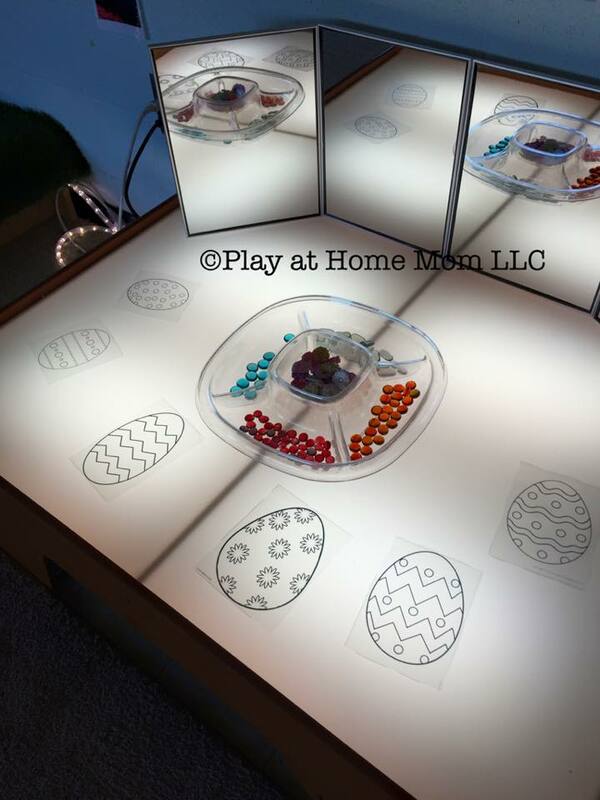 This week I’ve put Easter egg prints (google images) and glass gems on the light table for the children to explore and decorate, similar to some spatial pattern play I’ve done in the past. Only 2 children visited this area today, and that’s ok. I find that when I leave something out for at least a week, ALL of the children are inspired to visit it at some point. Today, the others just had more important play to do. 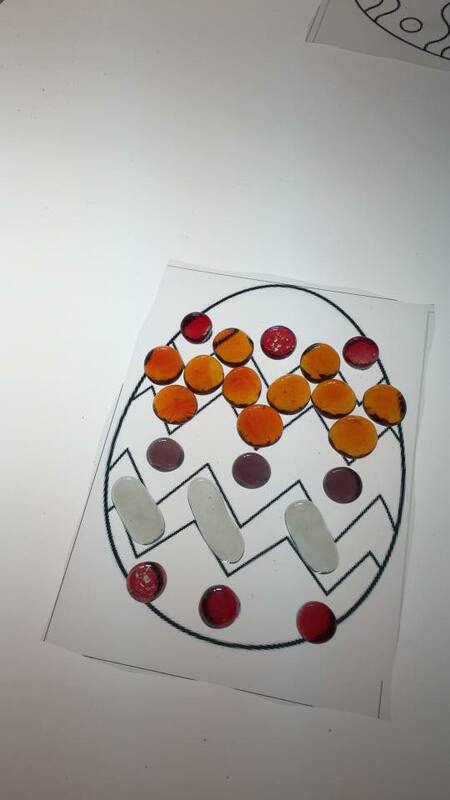 I printed the Easter eggs on transparency sheets.